Origen Adamantius is historically among the greatest of all Christian theologians, but his complex views, interpretations of Scripture, and personal philosophy caused him to be frequently at odds with highest authorities of the early and developing Catholic Church. 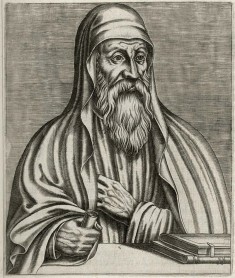 Origen was eventually condemned and excommunicated by the Church, although he remains in high regard both in Roman Catholic circles and among other branches of the faith. Origen was born in about 185 A.D. in Alexandria, Egypt, to Christian parents. His father was Leonidis, a teacher. The identity of his mother is lost to history. His father recognized his son’s genius and he tried to provide him with the best Greek education and intense schooling in the Christian faith. 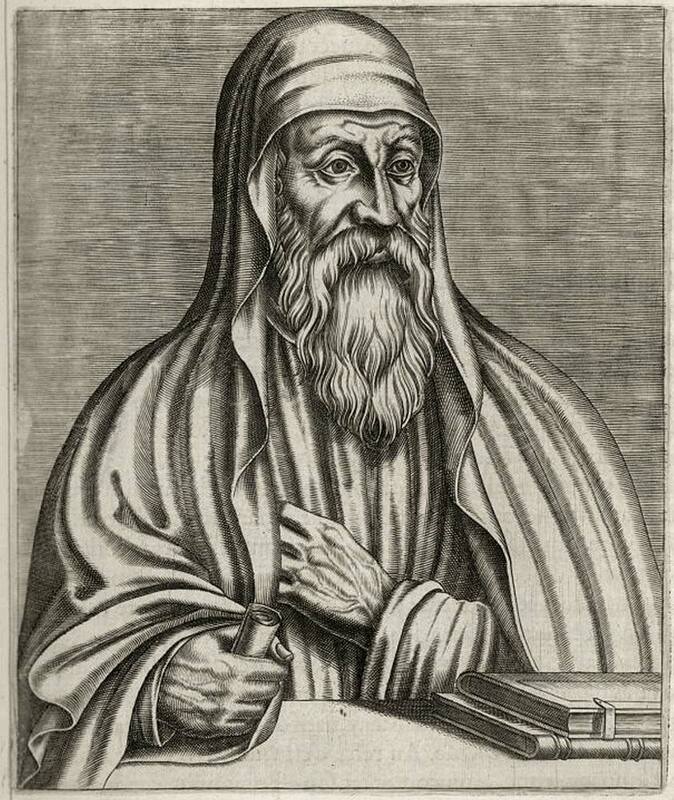 Origen’s ability to read, understand, and memorize large tracts of Biblical and other texts was astounding. 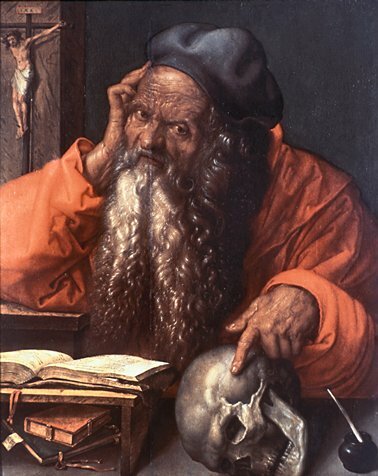 Some accounts even say that Origen could recite the entire Bible from memory. Perhaps the most significant event in the early life of Origen was the death of his father. When the Roman Emperor Septimus Severus came to power in 193, he allowed a severe policy of persecution of Christians to be carried out. Leonidis was arrested, but died a martyr after he refused to renounce his allegiance to Christ. Origen was powerfully affected by the manner of his father’s death. He vowed to follow him into martyrdom. His mother, however, is said to have saved her son’s life by hiding his clothing, which prevented him from going out to meet his fate. The death of his father left Origen, his mother, and seven children impoverished and destitute. Origen’s fortunes were helped along by a wealthy matron who became his patron for a short time. At age 18, he became an instructor of the Greek language, and he also found work as a scribe. He was eventually nominated by Bishop Demetrius of Alexandria to become president of a catechetical school in Alexandria. Despite bootstrapping himself to a slightly higher status, Origen was a fervent Christian who admired the lives of the most ascetic saints whom he sought to emulate. Origen deprived himself of the creature comforts of life. He fasted frequently, ate little when he did eat, and allowed himself no shoes. He owned just one set of clothing. He never indulged in wine or rich foods, including meat. Most historians also agree that Origen castrated himself as part of his ascetic lifestyle. This was to deny the “corrupt” physical body and to show his complete devotion to his faith. Origen may have been the most prolific writer of his era. His drive and ability to compose thousands of pages of documents was unequalled. One of his most remarkable achievements was the writing of the Hexapla, an extensive study of the different Old Testament translations. Origen is believed to have worked on the massive Hexapla for almost 30 years. The work is more than 6,000 pages in 15 volumes. It included translations of biblical scriptures in several languages, but it also included interpretations and commentary on the Bible, such as a version of the book completed by Saint Aquila of Sinope. Origen also churned out hundreds of other manuscripts, many of which contained his original philosophies and opinions about the central meanings of the Christian faith. It is here that Origen frequently ran afoul of the ever-solidifying dogma that was being developed by powerful religious leaders, and the growing hierarchy of the early Church. Origen is considered to be a “Christian mystic” because of his controversial views on the nature of the soul. For example, Origen believed that the souls of people existed in a time before God made the earth, and that the soul would continue on after the death of the body — and possibly transmigrate or reincarnate into another lifetime. Reincarnation is considered anathema to the church. This is just one among many of Origen’s assertions that led to his condemnation. There is no denying that Origen blended Christian thought with pagan beliefs. Many of his views would seem to incorporate the ideas of Plato. His views about the “unity of the Trinity” were deeply controversial, caused him great trouble, opened him to deep criticisms — and even threats of execution. Origen was known to have traveled extensively in the ancient world. He visited Rome and Greece, and he also traveled to Arabia. His ever-present ability to stir controversy forced him to flee his native Alexandria. He relocated to Caesarea, which is in present-day Israel. Despite his controversial reputation, Origen is considered the first Christian theologian. His status, the quality and quantity of his works, and his brilliant interpretation of Christian theology remain among the most critically important contributions to the history of the religion. Origen is believed to have died in Tyre, Lebanon, in the year 253 or 254, meaning he would have been nearing 70 years of age.